With legalization rapidly approaching Justice Minister Jody Wilson-Raybould has approved a new roadside test to check for drugs. The Draeger DrugTest 5000 will be the first saliva screening equipment to be used by Canadian law enforcement to test for illicit drug use while driving. Police forces are still able to choose the testing equipment they want to use. The Draeger DrugTest 5000 can test saliva for several substances including soon to be legal tetrahydrocannabinol (THC), the main psychoactive agent in cannabis. Also detected are cocaine and its metabolites, amphetamine class drugs (meth and ecstasy), benzodiazepines (valium and Ativan), and opiates (heroine, codeine, morphine oxycodone). The Feds have pledged $161-million over five years to fund police training, new drug-testing equipment, and a public awareness campaign about the perils of driving while high. 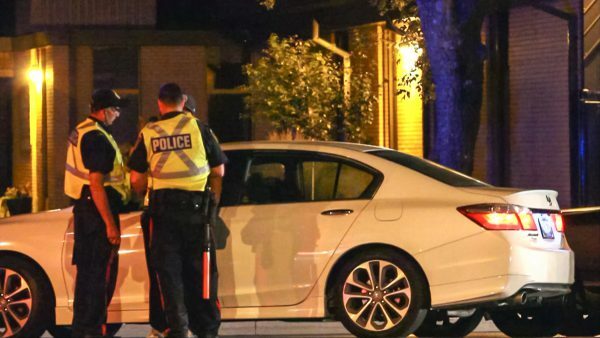 Despite the cash influx the Canadian Association of Chiefs of Police have already warned of a shortfall in the training of some 2,000 officers to identify drug impaired drivers. Driving high Manitoba is more common than you might think. One in ten drivers tested positive for illegal drugs during the fall 2016 “Manitoba Drug and Alcohol Roadside Survey” conducted by the Province and MPI. The survey was a volunteer study was to establish a baseline for current drug and alcohol usage on Manitoba roadways. According to the results released in spring of 2017 some 1,230 drivers participated with 124 tested positive for some form of drug. This seems to be in line with estimates we have read about from Colorado that were pegged at 5% to 10%. The obvious comparison to gauge the seriousness of the driving on drugs is to compare to alcohol. During the volunteer survey 2.4 per cent of drivers produced a blood alcohol concentration (BAC) greater than zero. Several officials have voiced their concern at the seemingly high ratio of 4 to 1 drug versus alcohol impairment. Alcohol is very different than most drugs in the fact that euphoria of being inebriated is felt while the user’s blood alcohol level is rising. When blood alcohol level starts to decrease the “high” disappears and people assume they are sober when in fact they will still test over the illegal blood-alcohol limits several hours after their last drink. That said it’s only a matter of hours before the blood-alcohol goes to zero. A drug such as marijuana that is fat-soluble is less easily eliminated from the body than water-soluble alcohol and will result in a test positive days and weeks afterwards. Chronic smokers can easily take periods of a month to clean their system completely of THC. So, while a marijuana smoker may test positive depending on the method used they may very well not be high. When it comes to prescribed drugs such as opiate painkillers, tolerance can build quickly and doses that would impair a drug naïve person are easily tolerated by a long-term user. These factors must be taken into account as well so as to not charge people on long-term pain treatment programs. One example would be a patient receiving 80 mg a day of oxycodone would keep most people asleep all day long. However, a patient suffering from severe pain feels no sedation and can go throughout their daily routine living a productive life. Can we simply make a generalization that if someone has a certain quantity of drugs in their system that they are impaired? Impairment is individualized based on several factors such as the ones outlined above. Saliva testing is a good way to get an approximate level of impairment, but should additional roadside testing be conducted in a subjective manner? The screening methods police officers use to conduct roadside impairment tests are based on a variety of the driver’s physical attributes such as pupil dilation, speech, and physical coordination. While this testing has value, personal bias and a presumption of guilt based on the simple fact the driver is being tested for impairment can always be a problem if undertrained. To put it another way, police officers don’t waste their time testing people they think are sober during traffic stops. When researching the subject of driver impairment, it becomes obvious that our government is spending endless millions of dollars to educate us on the dangers of drinking and driving. The process of educating the public on the dangers of driving while high is only just begun. While the government has earmarked $161 million for education and enforcement that does not increase the amount of time people have to absorb the message that driving while high is dangerous. It will take time to get the message across because of the very nature of the marijuana culture’s belief that marijuana is a harmless substance. The dangers associated with driving high are obvious. When it comes to studies about automobile accident rates and fatalities involving marijuana there have been a variety of studies completed in the United States. For a look at some of the dangers of driving high, here’s the data compiled by the Denver Post. In 2016, of the 115 drivers in fatal wrecks who tested positive for marijuana use, 71 were found to have Delta-9 tetrahydrocannabinol, or THC, the psychoactive ingredient in marijuana, in their blood, indicating use within hours, according to state data. Of those, 63 percent were over 5 nano grams per milliliter, the state’s limit for driving. The conservative government under Brian Pallister will be imposing heavy fines. Driving while high will not cost a licensed driver any more than the fines and penalties for an impaired driving charge. However, driving while high for a novice driver adds $113 on top of the fines and penalties for impaired driving. A driver supervising a novice driver while under the influence of THC gets hit even harder than the novice with a fine of $672.00. The most serious fines are non driving related. Growing non-medical marijuana in your own home and for providing cannabis to anyone under the age of 19 – $2546.00. While there are fines for smoking or vaping cannabis or oil in public and park lands, edibles get a pass. The reason given by the MB government was that enforcement would be too difficult. Compared to other provinces Manitoba’s rules on cannabis consumption are more restrictive. If you have an old DUI charge and you want to clear your criminal record, we can help. Call us for a free private consultation: 204-453-0099. This entry was posted in Blog, Criminal Record Checks, DUI, Pardon Eligibility and tagged dui, Manitoba, police, pot, road side test, saliva drug test, thc, weed, winnipeg. Bookmark the permalink.